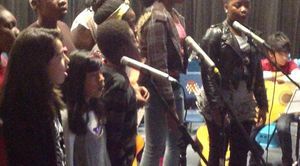 House of Mercy Interfaith Music and Choir project is based in Newham, East London. The project was set up by The House of Mercy Christian Assembly with the funding from Westhill. This project is based on one of the most diverse and deprived boroughs in London. The level of deprivation meant that any parent cannot afford to pay for music tuition for their children and the project gives these disadvantaged children, a chance to learn and practice any instrument of their choice as well as acting and dancing sessions. The project was officially launched on 22 September 2018. About 30 children and 44 parents attended the launch and the project is already well established with a weekly attendance of an average of 14 children young people, however, many more children and young people are on the waiting list due to oversubscription. The project is still new and needs more volunteers to cater for the growing demand. 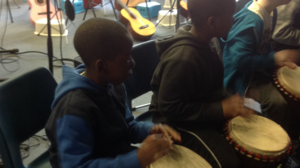 Since the launch of the project a few weeks ago, children are starting to show early signs of progress and satisfaction.The Project will run for a year until June 2018 with weekly twilight term time music lessons and along with weekly interfaith choir practice for young people aged 8 to 17 years old. The sessions are taking place on Saturday mornings and on Sundays where children practice whiles adults are having their Sunday service. event to showcase childrens acquired talents and skills through the project and a big event with prizes will be organised at the end of the project.